User-generated content (UGC) images take the power of word-of-mouth to a new level, articulating the value of a product or service through a more authentic, visual lens. In today’s day and age, consumers can share their experiences with your company in a matter of seconds. Whether these are shared through Instagram posts, Yelp reviews, Youtube videos, or in other ways, user-generated content has become increasingly prevalent and important for brands to maintain in order to influence customers’ purchasing decisions. Why should brands prioritize earned content? 64% of consumers look for peer reviews online before making a purchase. While many consumers have adverse reactions to feeling “marketed to” with brand advertisements, marketing with earned media does not solicit the same reaction. User-generated content is seen as an honest portrayal of a brand’s products since it is content that originates from real customers instead of the brand itself. An example of user-generated content on a brand website. The benefits of user-generated are tenfold. From search engine optimization (SEO) to increased conversion rates, user-generated content can play a role in everything from product discovery to average order value. However, measuring its ROI can be tricky, depending on what you’re hoping to track. Here are a few ways to ensure that your user-generated content program is providing data-driven insights– no matter how you’re putting it to use. User-generated content helps to add a layer of social proof and peer validation to help online shoppers, who may not be able to touch and feel a product as they would in a store, to make a purchase with confidence. We’ve found that, on average, displaying user-generated content on your website increases online conversions by 2x. One of our clients, Goorin Bros. Hat Shop, saw an 11% increase in total online sales after incorporating user-generated content into its marketing. 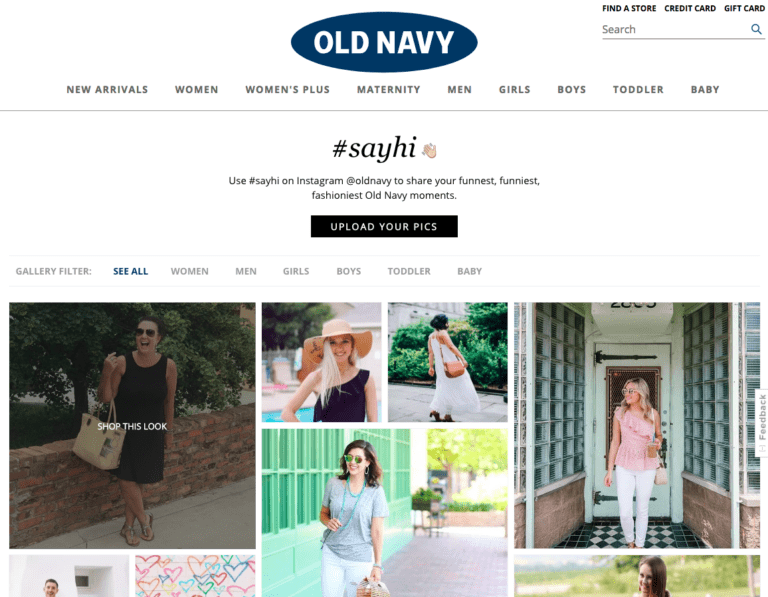 To track conversions from user-generated content, tag product SKUs in each photo or video and track click-through to product page and/or shopping cart. Galleries of user-generated content can also be used to increase product discovery– and ultimately average order value. Pixlee client Enerskin increased average order value by 76% by displaying user-generated content on its homepage. Displays of real customer photos and videos can be automated to display personalized content based on consumer behavior. Using homepage galleries with predictive content makes it easier for browsers to find the products that they are looking for more quickly. To track average order value, tag product SKUs in each photo or video and bucket all average order values by if or if not they have interacted with the user-generated content on your site. Browsers are more likely to engage with your brand if you build deeper relationships with them. To do so, consider all aspects of your user-generated content strategy as means by which to build a two-way dialogue with your brand’s biggest fans. Reach out to consumers directly on social media to permission user-generated content, share user-generated content to celebrate your customers, and encourage them to post about your brand. To track your brand’s reach, calculate the sum of the followers of the users who create and/or engage with your user-generated content. User-generated content attracts visitors to your site, and the longer they spend on your site, the greater the chance they will convert into paid customers. Sites that feature UCG have up to a 90% increase in time consumers spend on their site, and a 20% increase in return visitors. To track time on site, use Google Analytics to compare time on site for pages with galleries of user-generated content to pages that do not. The bounce rate measures the percentage of visitors who leave the site, having viewed only one page. The higher the bounce rate, the greater the chance that your site is not effectively engaging consumers. This may be because your efforts aren’t attracting the right site visitors, or because visitors aren’t provided with a good user experience. One of the best ways to decrease your bounce rate is to improve your brand storytelling with customer photos and videos. To track how our displays of user generated content affect bounce rates, use Google Analytics to compare bounce rates for pages with galleries of user-generated content to pages that do not. All of these metrics can be easily tracked with a user-generated content platform such as Pixlee. Our platform helps e-commerce marketers to collect, curate, and display user-generated content– but also to measure the direct ROI of using customer photos and videos across marketing channels. Curious to see how your earned content is performing? Eliminate the guesswork and contact us today.